This story on Marlon Brando first appeared in the December 9, 2016 issue of of TheWrap’s Oscar magazine. 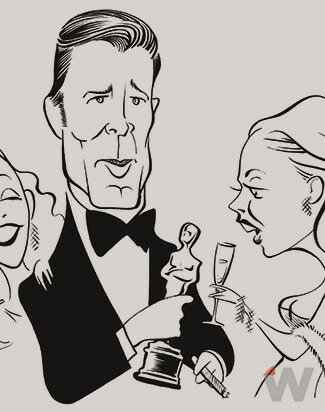 It isn’t surprising that the Academy’s early history has become pocked with colorful but entirely fictional lore–stories of landslide vote totals that never actually slid, of a mysterious figure who skulked to the dais and made off with the real winner’s prize, or of various gentlemen who served as the model for the Academy’s statuette. A recent trade article suggested that the woman who had come to the stage in his place, and who gave her name as Sacheen Littlefeather, had “accepted” the Oscar in Brando’s stead; the writer also turned up a longtime assistant to Mr. Brando who claimed to have had it in the bottom drawer of her desk for a long period. Somehow lost was the fact that, as more than 50 million viewers could once have attested, the whole point of Ms. Littlefeather’s standing in for Brando, and of the speech she made on his behalf, was to reject the honor that the Academy had voted him. She had never touched the statuette she was offered, and it had never found its way to anyone’s desk drawer. Reporters who called the Academy about the story were reminded that there was no such thing as a Brando Godfather Oscar; the rejected statuette would simply have been returned to the evening’s backstage supply to be given to another winner later in the ceremonies. That should have been true, but it wasn’t. The story became more tangled when Ingels revealed the statuette’s serial number, 1601, which according to AMPAS records was an unpresented “display” statuette, then on loan to an exhibition in New York. A phone call confirmed that it was safely on display. It didn’t seem possible. The whole point of incising serial numbers on every Academy Award since 1950 had been to render each statuette unique. The Academy had never seen a number duplicated. I knew that the statuette Mr. Ingels had been waving around had nothing to do with the nonexistent Marlon Brando award, but I didn’t know what he did have, or how it had been assigned the same number as another Oscar. The mystery had the Academy stumped. It was clearly a real — not a counterfeit — award, and the serial number not only looked genuine, it was also within the run of statuettes that were distributed at the March 27, 1973 ceremonies. Where the hell had it come from? A partial answer emerged when we looked back past the Academy’s computer records of who had received which statuette, into an older loose-leaf binder in which that information had formerly been kept, sometimes with handwritten notes interposed. The entry for 1601 indicated its long-term loan to the exhibition. We concluded that someone, most likely the Dodge Trophy official who had functioned backstage as the statuette quartermaster, had been embarrassed enough by the loss of one of his charges that he later had a new 1601 made and returned to the Academy. With the “lost” notation whited out, the original 1601, someone hoped, had been erased from the Academy’s history. A telephone call from left field provided the next clue. A few days after the ersatz Brando award had come to light, Academy staff member Patrick Stockstill fielded an odd inquiry. 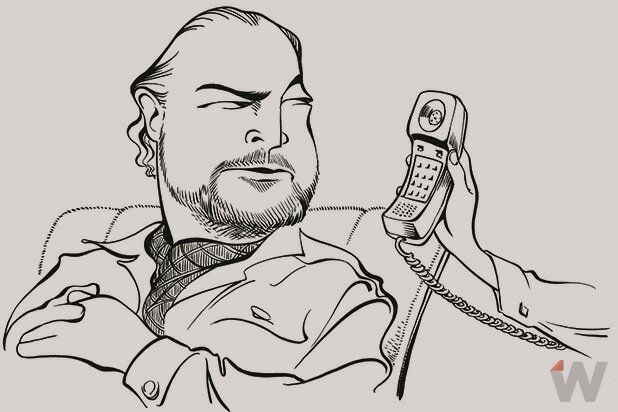 The caller, who gave his name as Ron Forrester, asked the switchboard to connect him to the head of the documentary department. Stockstill administered the two doc awards, and unfortunately for Mr. Forrester, he was also the Academy’s staff historian and very much involved in the attempt to solve the 1601 riddle. Even more unfortunate for Forrester, Stockstill was old enough to remember the sitcom “I’m Dickens, He’s Fenster,” which had starred Marty Ingels. Behind the filmmakers, as the lights dimmed for a commercial break, the unclaimed Oscar stood forlornly on the podium. And while the stage was dark, for the only time in the Academy’s history, someone stole an Academy Award off the stage. So the Academy knew that the statuette that was being passed off as the Brando Oscar had no connection whatever to Marlon Brando. Whether Marty Ingels’ “client” who was hoping to sell it was the person who had stolen it off the Chandler stage, or just a receiver (unknowing or culpable) of stolen goods, remained to be seen. In the meantime, the Academy’s original assumption, which was that the Oscar rejected by Ms. Littlefeather had simply been returned to the supply of awards available for later distribution that evening, turned out to be widely off the mark. The thwarted presenter (with Liv Ullman) of the Best Actor award, Roger Moore, when asked if he could recall returning it to the backstage pool, told a somewhat more interesting story. He had watched Sacheen Littlefeather’s performance with interest. Though self-described as an actress, she was not a great actress — the upraised palm with which she turned down the statuette was a gesture from the early silent period, and the sorrowful frown she locked her features into was also a little broad — but under the circumstances she had done very well. She worked without notes, betrayed no nervousness about the massive TV audience or the even more daunting first two rows of movie stars, and she conveyed Brando’s rationale for the rejection at least as coherently as he had. 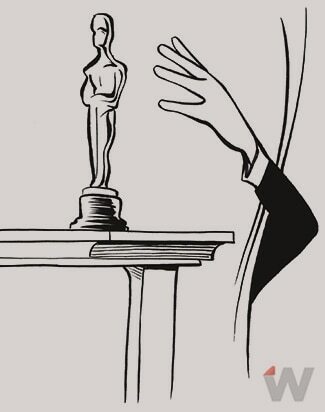 When she left the stage, Moore followed her, still holding the Oscar. He looked around, concluded that the Academy hadn’t designated anyone to gather up rebuffed statuettes, and carried the award back to his seat. That Oscar evidently had every bit as enjoyable an evening as those that had been received more warmly. It went to several parties, stood at the center of many lavishly spread tables and received almost James Bondian attention from any number of beautiful women. And then Roger Moore took it home. We need to take a sidewise step at this point to pick up a thread that might seem completely unrelated to Marlon Brando. It has to do with the 1972 award received by Charlie Chaplin. This was not the triumphal return of Chaplin to Hollywood to receive an Honorary Oscar; that had happened the year before. 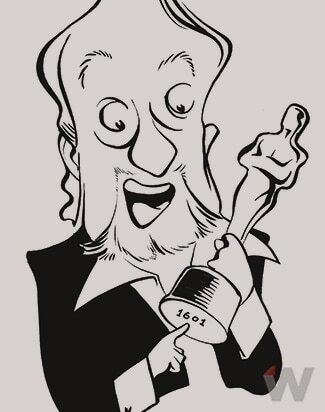 His 1972 award was arguably the most unusual one the Academy had ever presented, in that it was a competitive Oscar given for an achievement in a picture made 20 years earlier. There is a sturdy monograph yet to be written about this third Chaplin Oscar. A case can be made that, even with the Academy’s willingness to overlook the copyright date on the film, “Limelight’s” score should have run afoul of the rule that made Nino Rota’s “Godfather” score ineligible that same year, since a prominent component of it had been used in an earlier film. But the Academy had enjoyed giving Chaplin a 1971 Oscar, and it seemed determined to present him with another one, as a co-recipient with two by-then-deceased composers, one of whom had nothing whatsoever to do with the Limelight score. Chaplin had not made a second trip to L.A., so the award was packed and sent to him in Europe. It was damaged in shipping. His family returned it with a letter expressing the hope that it could be replaced. It could, of course, and as it happened, quite easily. Roger Moore had arranged just the day before for his publicist to return his houseguest of recent weeks to the Academy — and when the banged-up Chaplin award arrived, Moore’s returned Oscar, the same one turned down by Brando, was sitting right there on an executive’s desk. So, in one sense, the answer to the question of whatever happened to the (second) Brando Oscar is that Charlie Chaplin got it. The false Brando Oscar, which the Academy now thinks of as statuette 1601(A), crept back into hiding and has not been heard from since. When he retired in 2011 after more than 20 years as the executive director of the Academy, Bruce Davis began researching a book on the history of the organization. 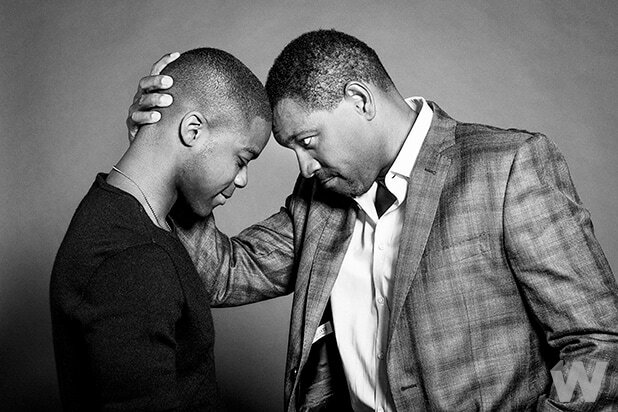 In TheWrap’s Oscar magazines this year, Davis will tell some of the stories he’s uncovered. Click here to read more of TheWrap Magazine’s Oscars Issue.